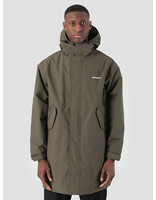 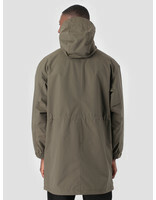 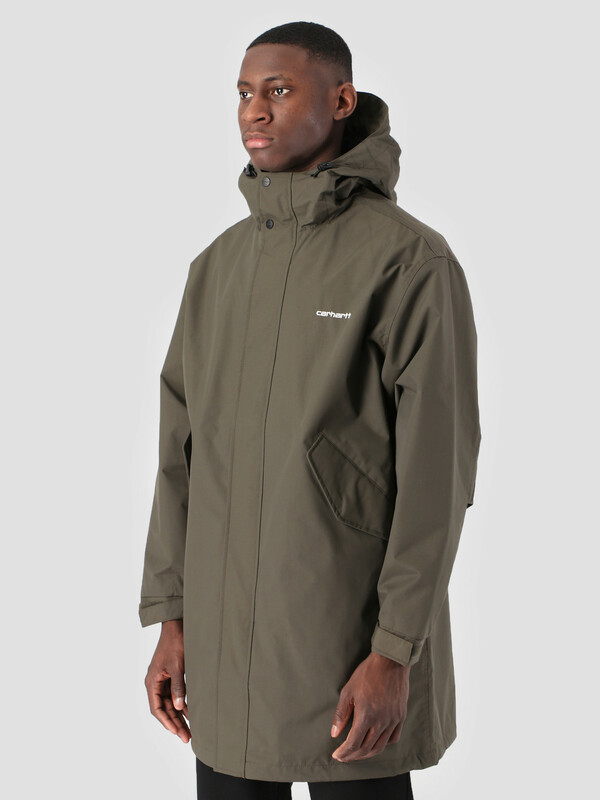 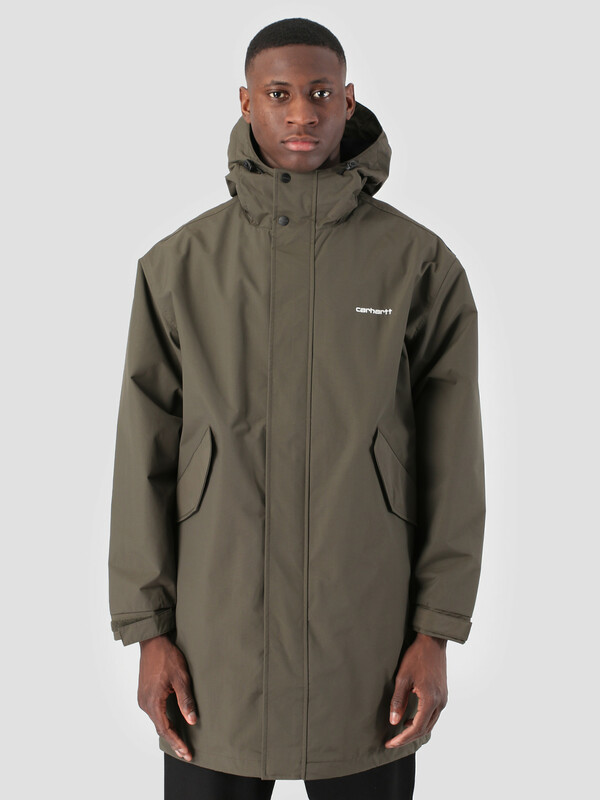 The Carhartt WIP Ashby Parka Cypress in a greyish green color. 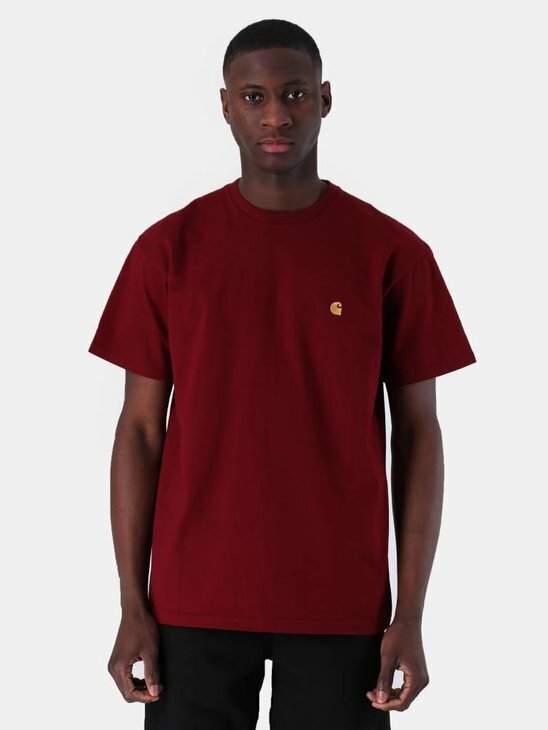 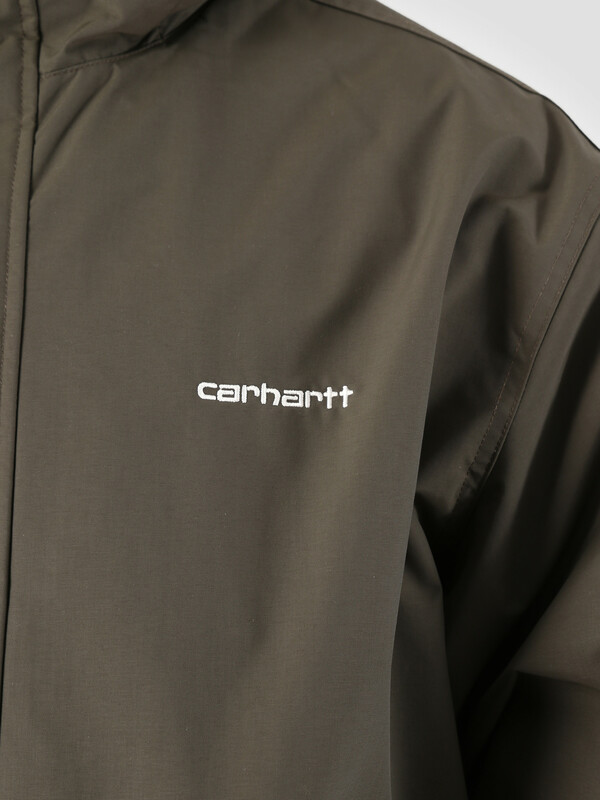 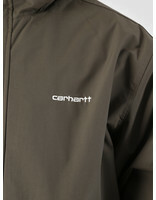 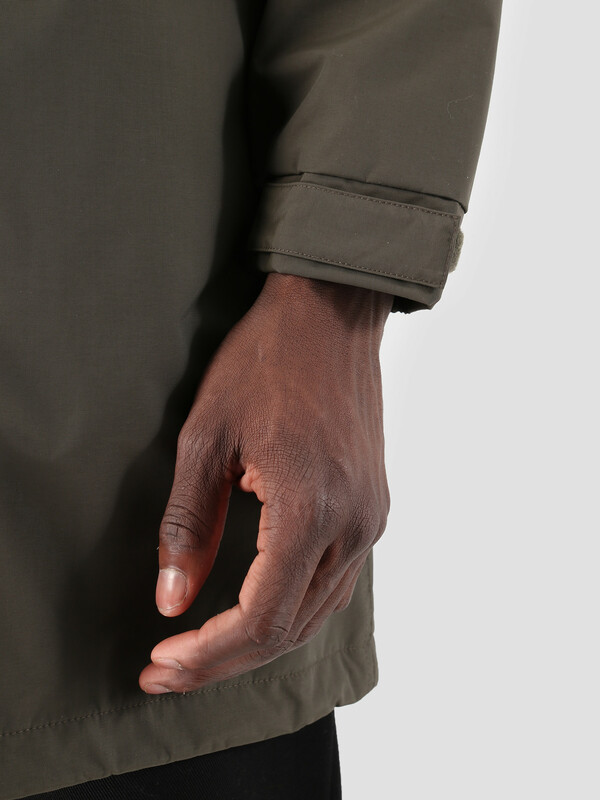 The parka showcases the Carhartt WIP branding on the left side of the chest. On both sides of the jacket two pockets with flaps have been placed which go down diagonally. 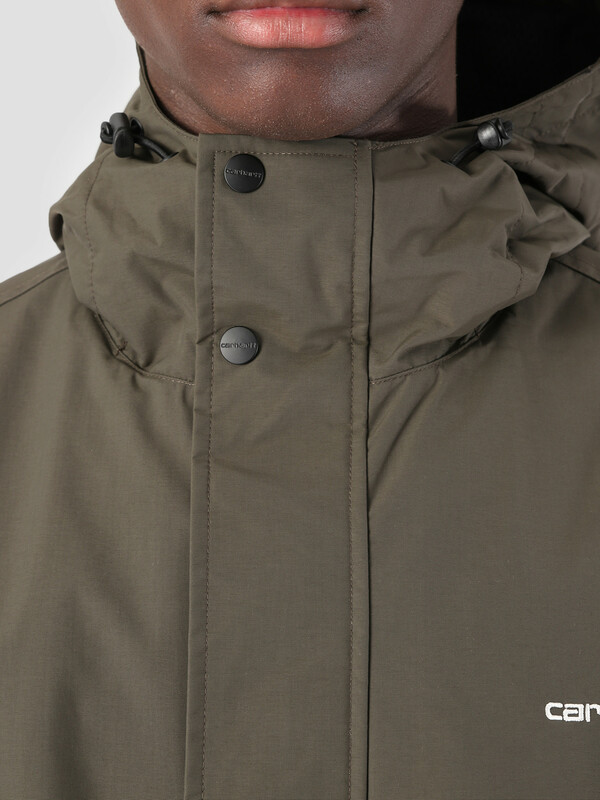 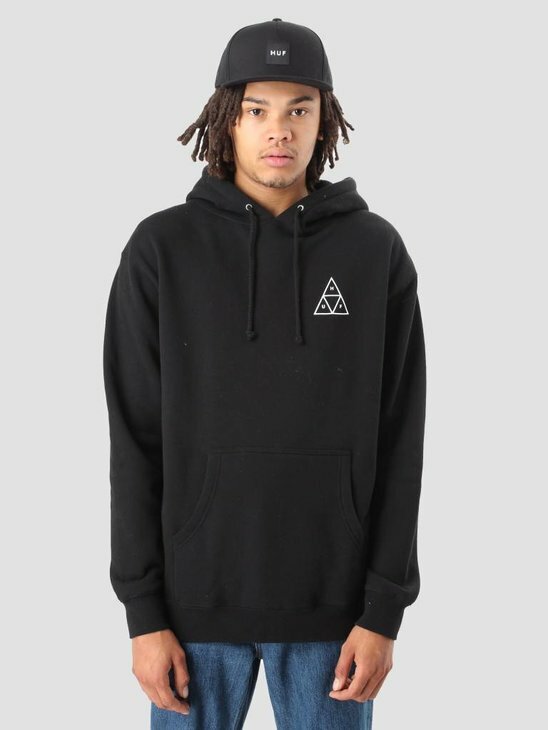 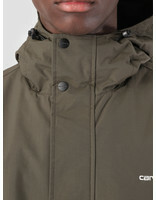 The hood is adjustable by using the elastic bands which stick out by the neck. 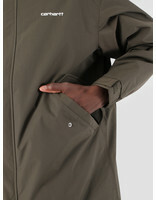 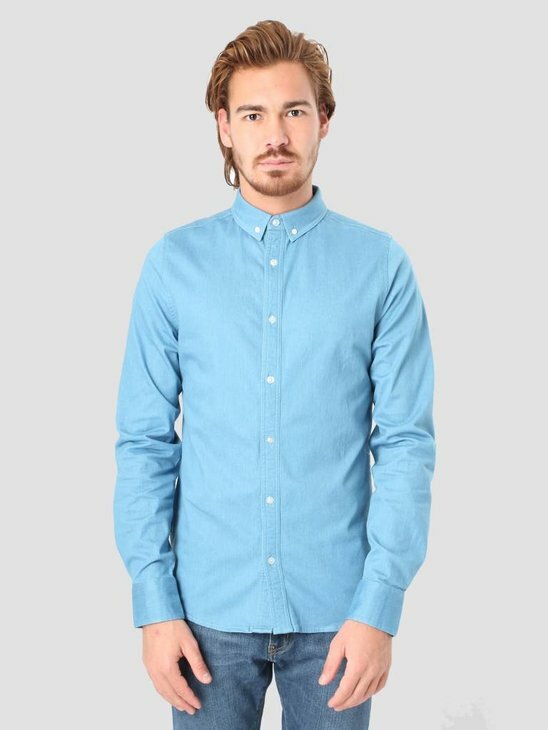 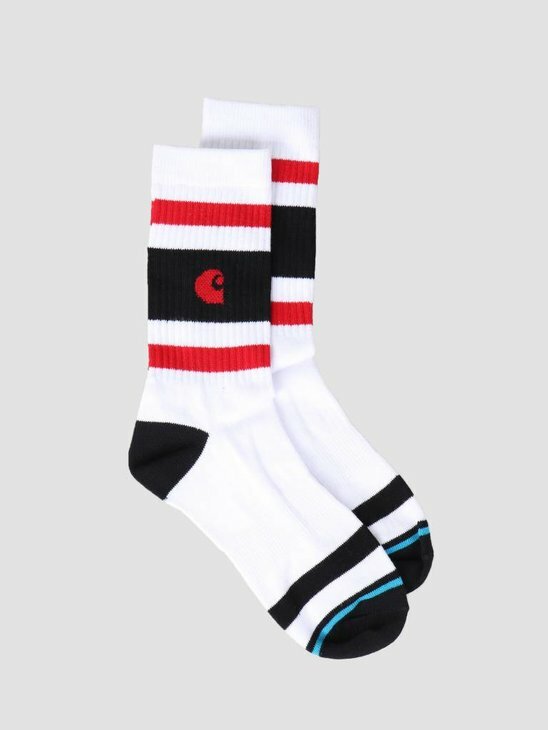 The zipper which runs down the middle can be additionally secured with click-down buttons. 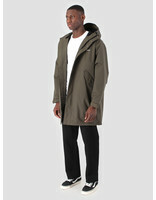 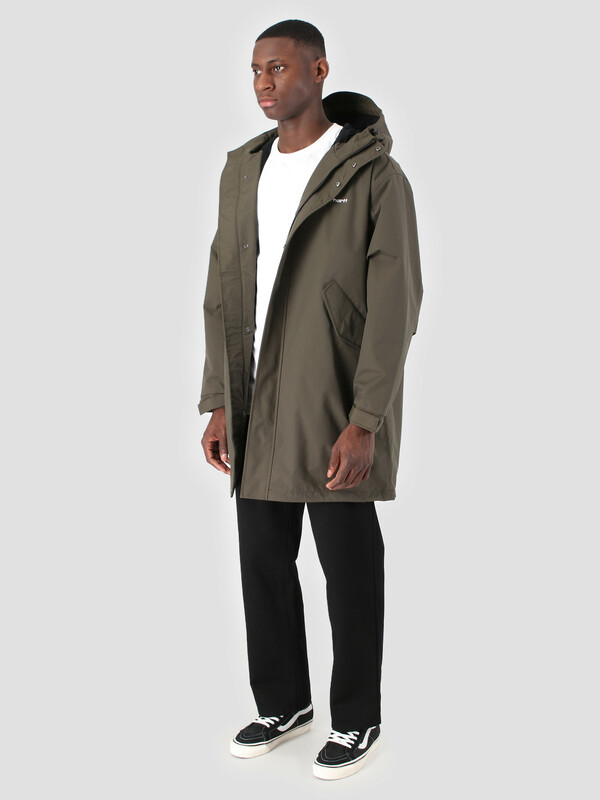 The material used is 100% nylon and the jacket has a regular fit.